You don’t have to give up cream sauce when you give up dairy. 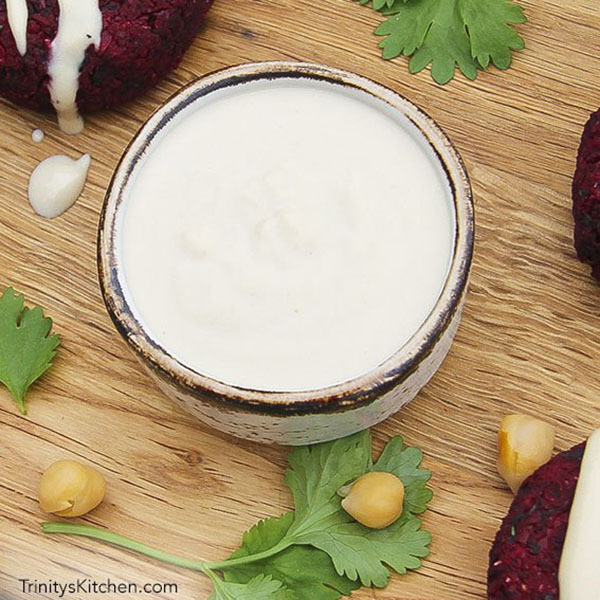 These creamy vegan sauces include options made with and without nuts. As you’ll see from the recipes below, there are lots of different ways to make a vegan cream sauce. Bases include nuts, seeds, beans, vegan milk and more. 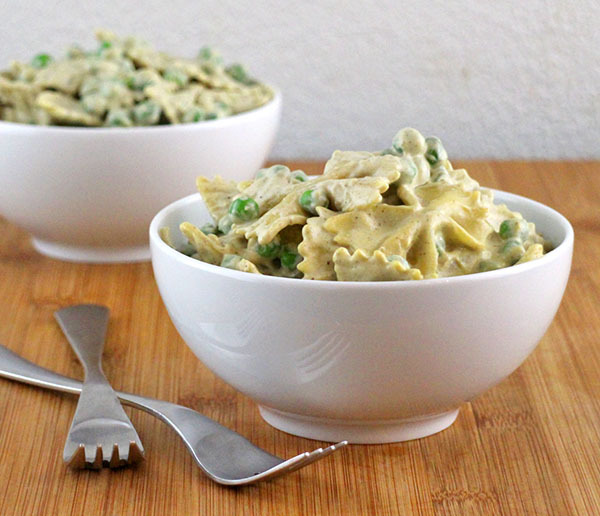 The way you prepare your vegan cream sauce will depend on the base you’re choosing. If it’s a nut-based sauce, often you just soak and drain your nuts, toss them into the blender with your seasonings and puree. Bing, bang, boom. 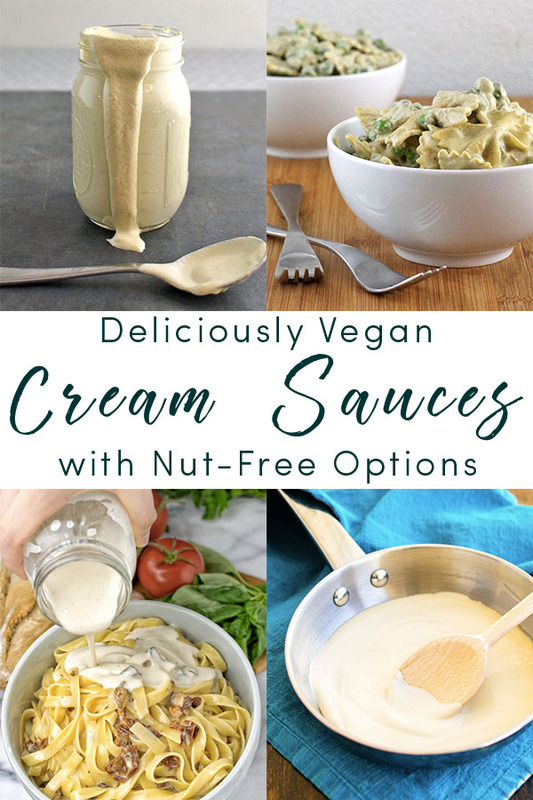 Other vegan cream sauces cook up more like conventional ones on the stovetop. You can even veganize a basic bechamel sauce, a white sauce that’s the cornerstone of many non-vegan cream sauces. There’s a bechamel recipe listed below that uses vegan half and half, and I make a similar version using soy or almond milk. 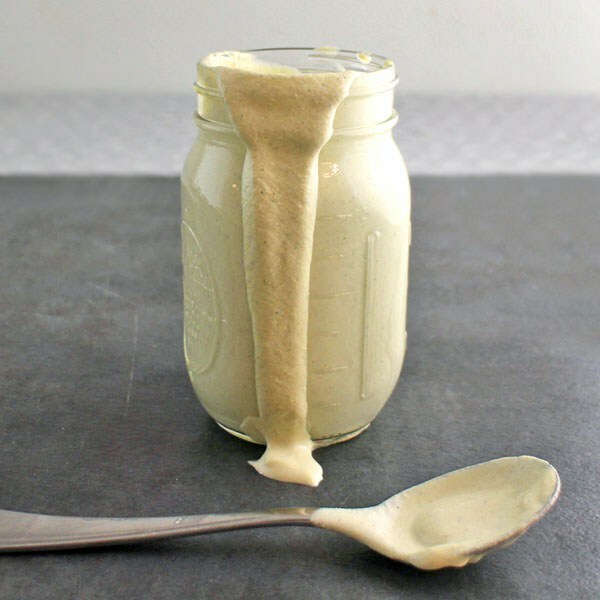 This simple vegan cream sauce is gluten free and nut free. Serve it over veggie burgers, toss it into pasta, or use it anywhere you need a little bit of creamy goodness. Combine all the dry ingredients in a medium sized pot. Gradually whisk in the water or milk, oil and miso. Cook over medium heat, stirring regularly. As it heats and thickens, you need to stir almost constantly towards the end. 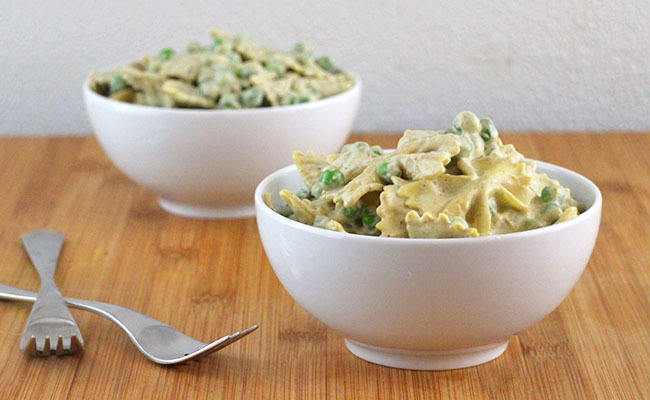 This is a cashew-based vegan cream sauce that’s perfect for pasta. 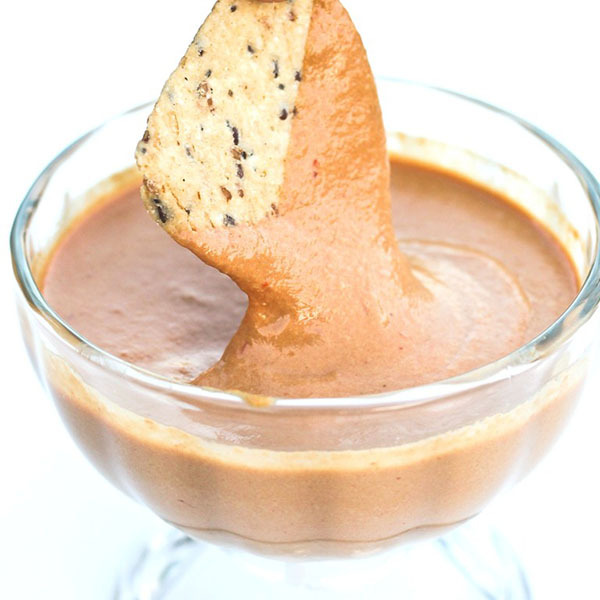 You can also use it to replace mayo in most recipes for dips and spreads. 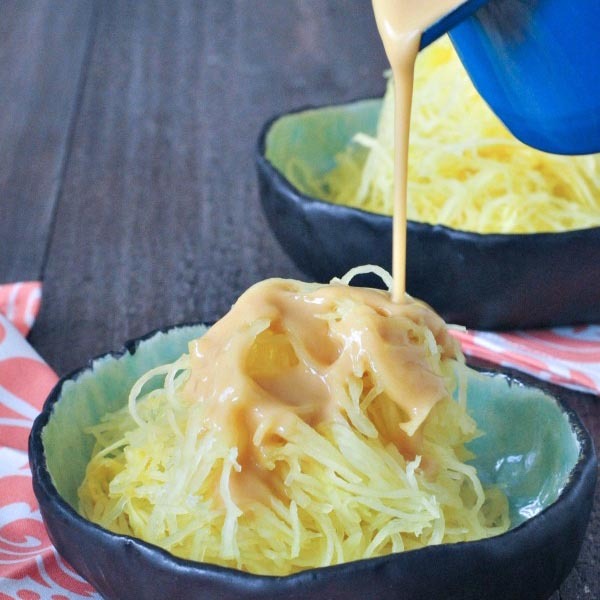 Another cashew-based cream sauce that’s great on zoodles or on pasta! It also works well drizzled over a Buddha bowl. 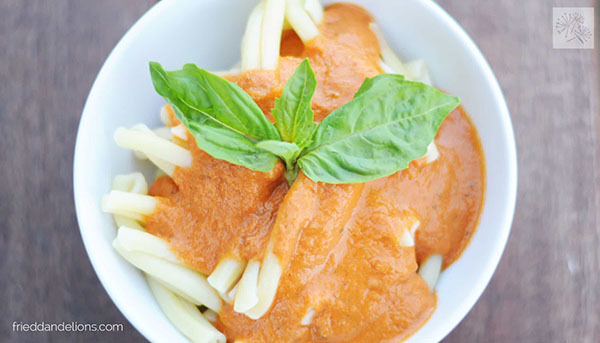 Traditionally, you’d pour this creamy tomato sauce over penne, but vodka sauce is delightful on any shape of pasta. 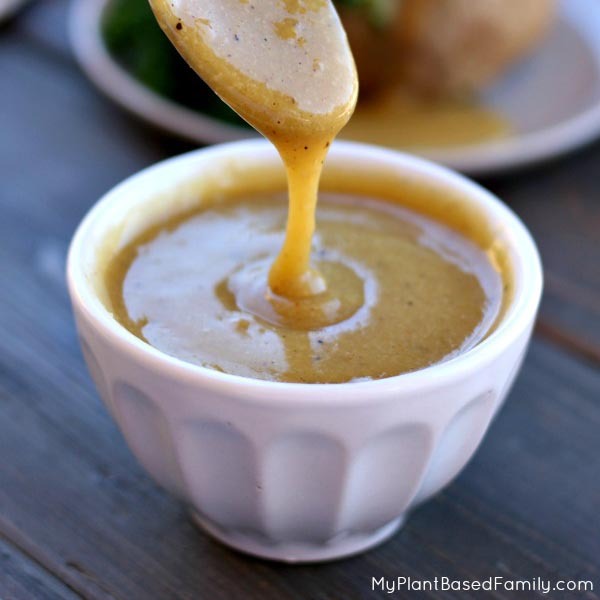 This sauce is nut-free and uses hemp seeds for creaminess. 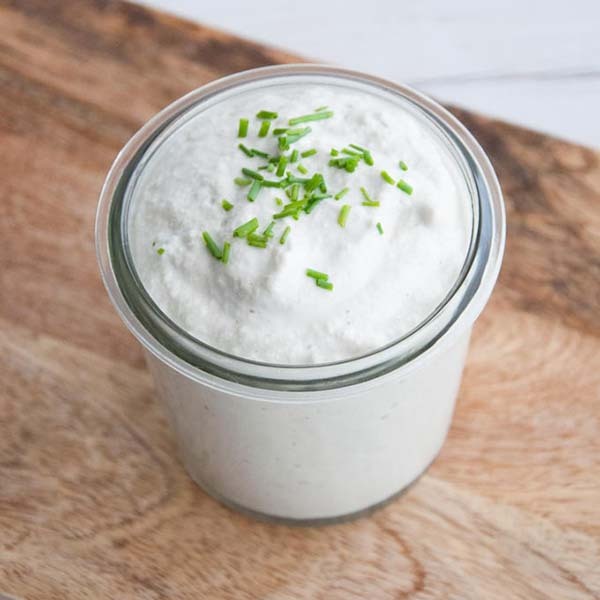 This nut-free ranch is great on salads or as a dip for a veggie tray. Like many of the nut- and seed-based vegan cream sauces here, you make this entirely in your blender. 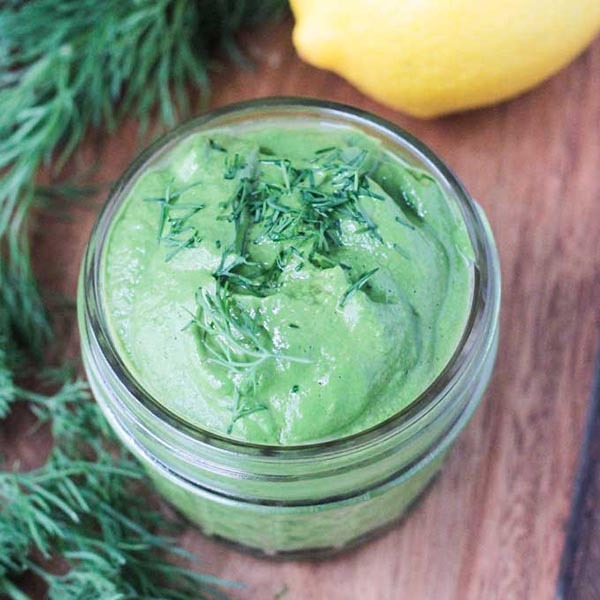 This vibrant dill sauce gets its creaminess from avocados and cashews, and that beautiful color is actually from spirulina! 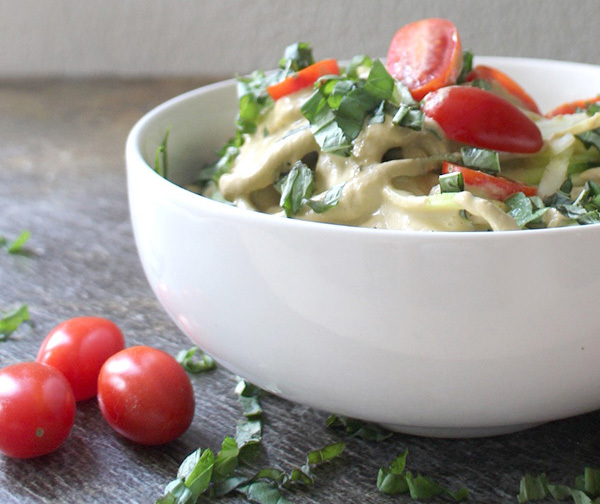 This nut-free vegan cream sauce is packed with sneaky veggies AND protein. It gets its smooth, rich texture from a combination of cauliflower and white beans. It’s so perfect with that taste of chipotle smokiness. You only need four simple ingredients (plus salt and pepper) to make this rich-and-creamy avocado-basil sauce. 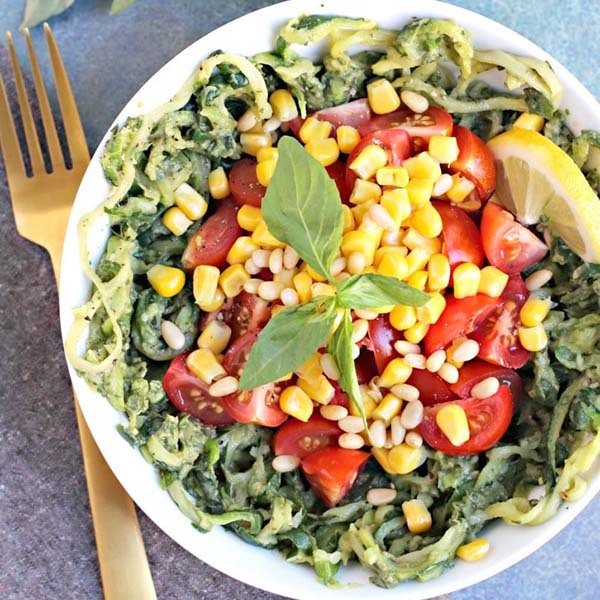 It’s served here over zoodles, but it would work great over regular pasta or even as a salad dressing. 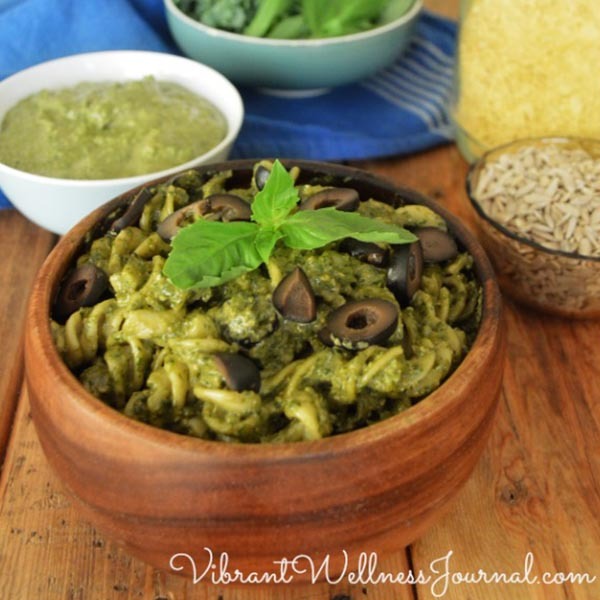 It’s super easy to make vegan pesto, and this recipe is totally nut free. Instead, it uses a combination of sunflower seeds and tahini to make a creamy, delicious vegan pesto in minutes. This is another bean- and cauliflower-based cream sauce that’s great for burritos, burrito bowls or even served as a dip with tortilla chips. This rich, savory sauce is soy-free, nut-free and gluten-free. You make this easy sauce on the stove. If you can stir, you can whip up this creamy brown gravy for your next batch of mashed potatoes. 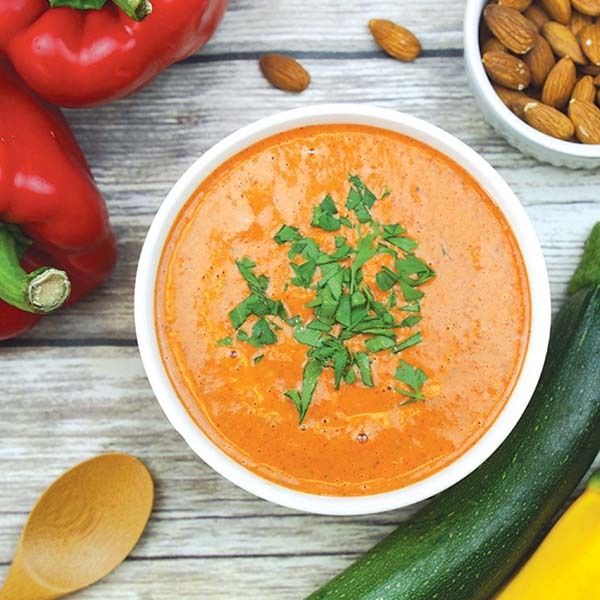 Romesco is a roasted red pepper sauce, and it comes together right in your blender! This recipe uses prepared roasted peppers to save time, but of course you can roast your own if you prefer. This tahini-based sauce contains no nuts or soy. Just plenty of decadent spiciness. It’s lovely on veggie burgers, sandwiches or as a salad dressing. 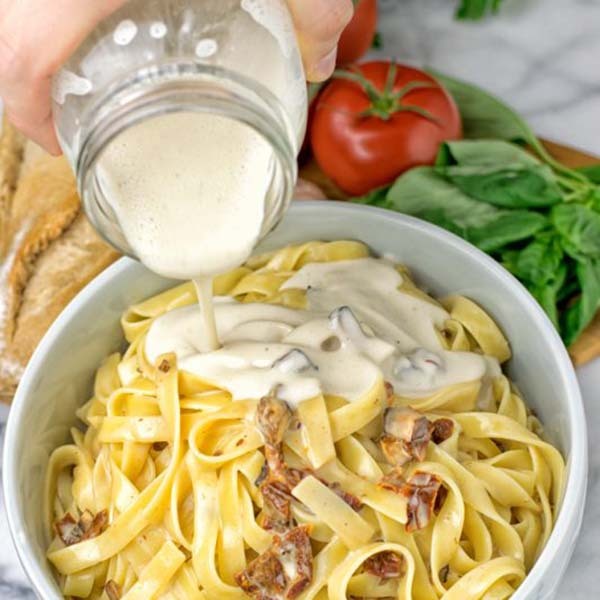 Smoky, creamy, vegan carbonara sauce uses oat cream as its base. It gets the meaty and eggy flavors from liquid smoke and black salt, respectively. If oat milk is hard to find where you are, you can use coconut creamer instead. 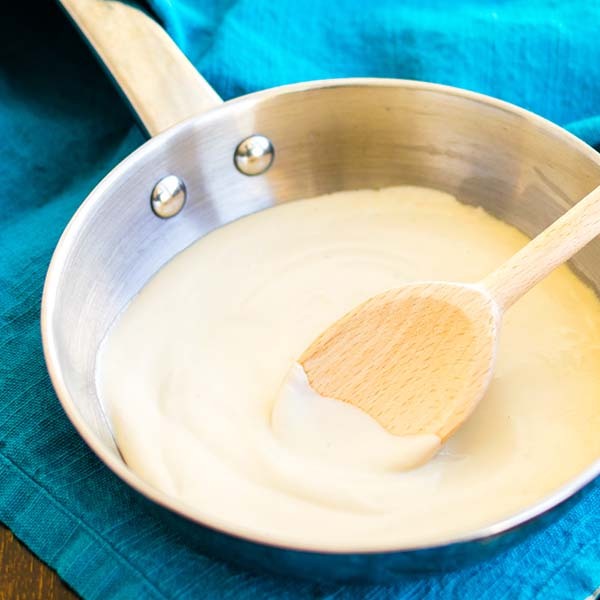 This creamy white sauce is one of the “mother sauces” in French cooking. It is the base for so many cream sauce recipes, and you can use this dairy free version in recipes that call for starting with a bechamel. This sunflower seed dressing is free from soy, gluten and nuts. It’s easy to make in the blender and is a delicious way to make your next salad a delight! This simple, nut-free, gluten-free tahini dressing gets a lovely flavor from a big scoop of coriander. It’s served over falafel and would work well on salads or wraps, too. You guessed it—carrots are the base for this easy blender dressing, and a touch of tahini amps up that creaminess to the next level. 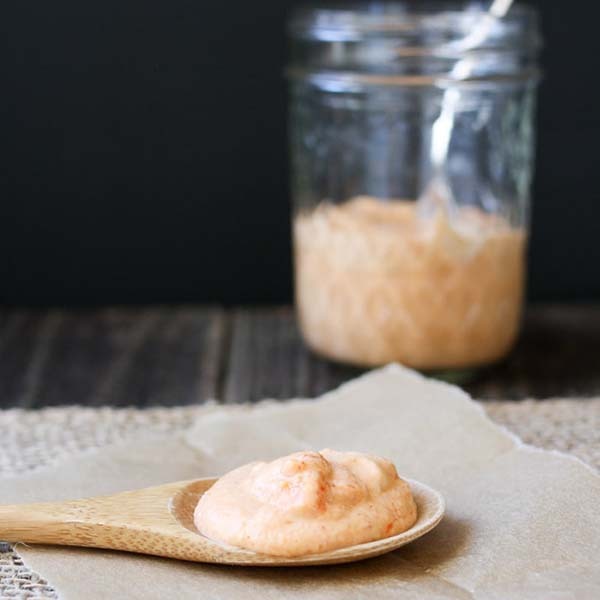 You can use cashew butter or tahini to make this oil-free vegan “cheez whiz”. It’s much healthier and more delicious than the stuff from the can. All images by recipe authors. Used with permission.